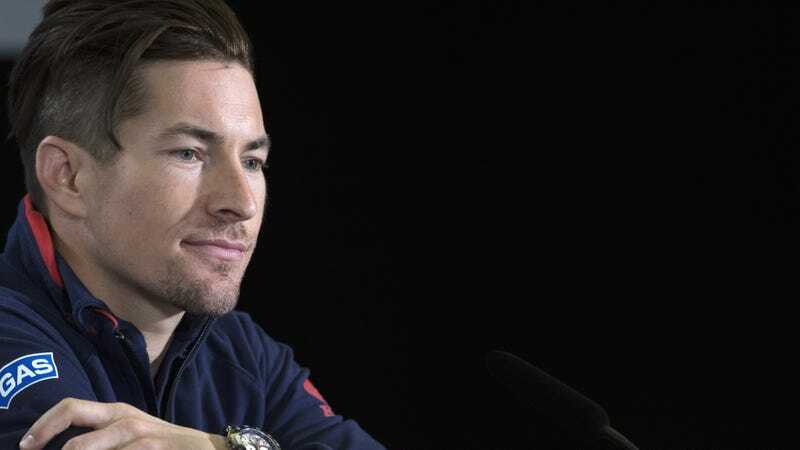 Motorcycle racer Nicky Hayden, who was struck by a car yesterday in Italy while cycling, is now said to be in extremely critical condition, reports the BBC. Update: May 19, 2017: Despite initial reports, it appears that while Hayden did suffer a serious head injury, it’s unclear whether he was in a coma. The first paragraph has been updated to reflect this. The original text of this article continues below. He is being treated at the Maurizio Bufalini Hospital in Cesena, Italy. Hayden was in Italy for the FIM Superbike World Championship. He was training on a bicycle along the Rimini coastline when he was hit. Hayden is the 2006 MotoGP world champion. More information on this as we get it.